Your necessary guide on how to deal with the most relevant threats to your network. Your network security is probably being tested on a daily basis. Therefore — as a security pro — staying up-to-date on the latest technology and solutions is both your prerogative and your obligation. 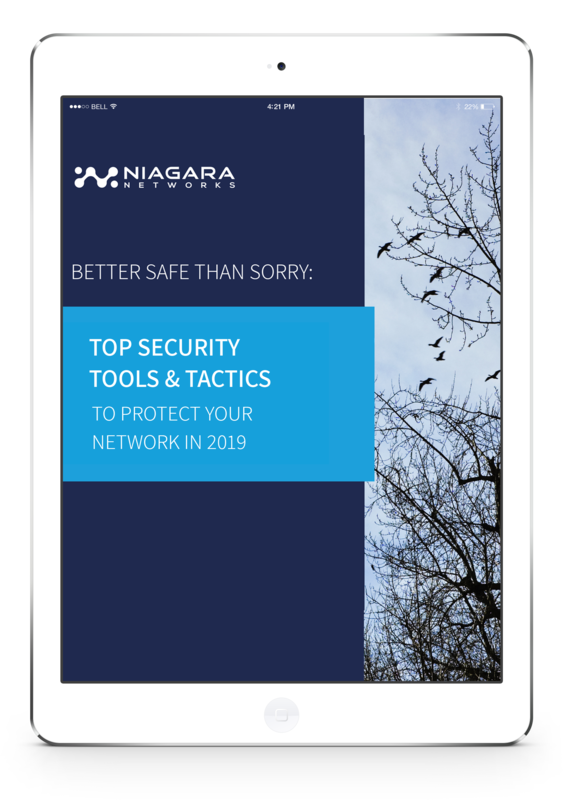 Based on relevant data gathered by Niagara Networks, this eBook uncovers the top enterprise security deployment tools and platforms in the industry for 2019. Organizations need to leverage smarter systems and use flexible security architectures to enable context-aware security controls. Building resilient digital business systems that are versatile and dynamic allows security and risk leaders to prepare for and head off increasingly dangerous cyberthreats.